We invite you to take advantage of the promotion! 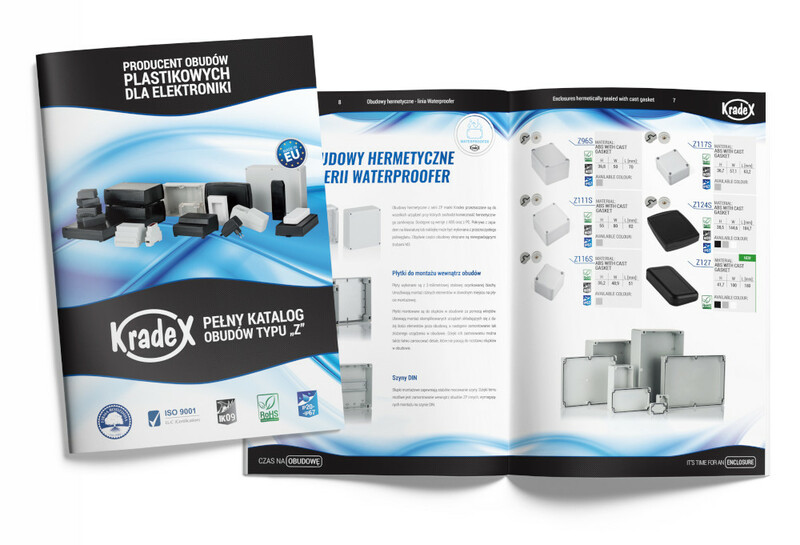 We would like to invite you to read the next edition of our products catalogue. 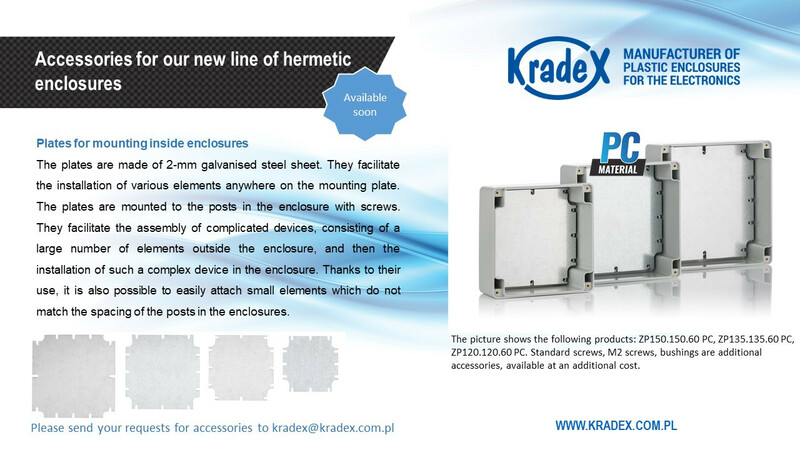 We would like to present next accessories for our new line of hermetic enclosures. We invite you to take advantage of the promotion! Place an order and collect your mug. We would like to introduce to you new products. We would like to invite you to read the next edition of our company newsletter. Trade Fairs Energetab 2017 already behind us. 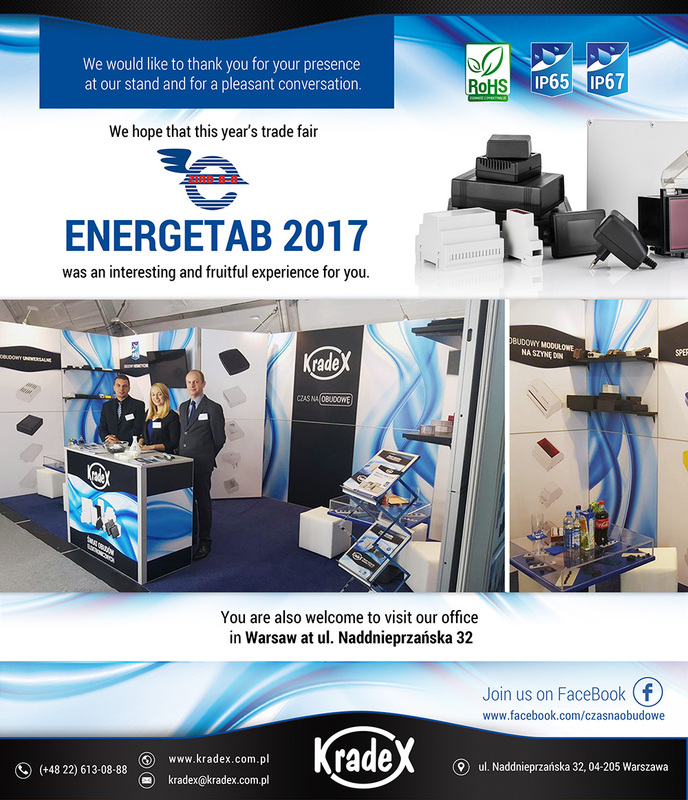 Thank you for the visiting our stand during Energetab 2017. 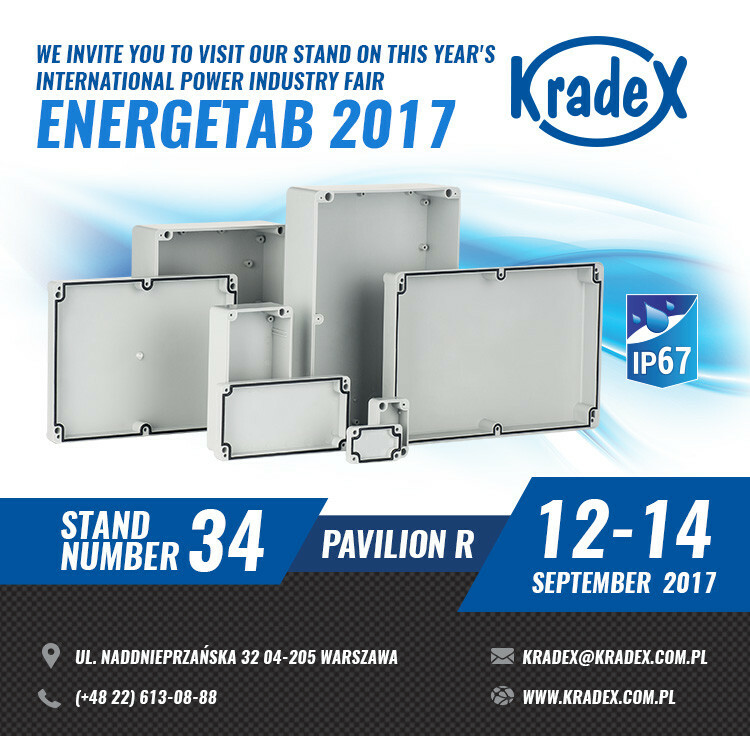 We are happy to invite you to the 30th International Power Industry fair Energetab 2017 in Bielsko-Biała. We invite you to read the sixth edition of our bulletin. 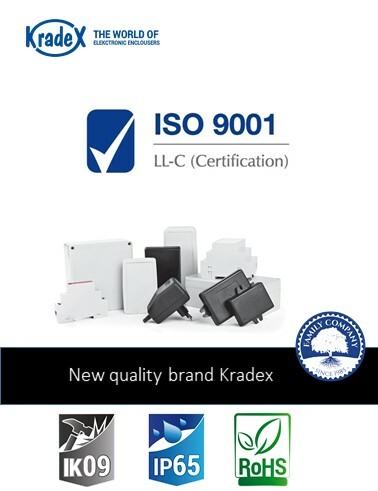 We are happy to inform you that thanks to efforts and long work of our team we have achieved another important certificate proving quality of the Kradex brand - ISO 9001. We have been waiting for this to arrive since the very beginning of autumn. We had to prepare for it as well. What is all about? 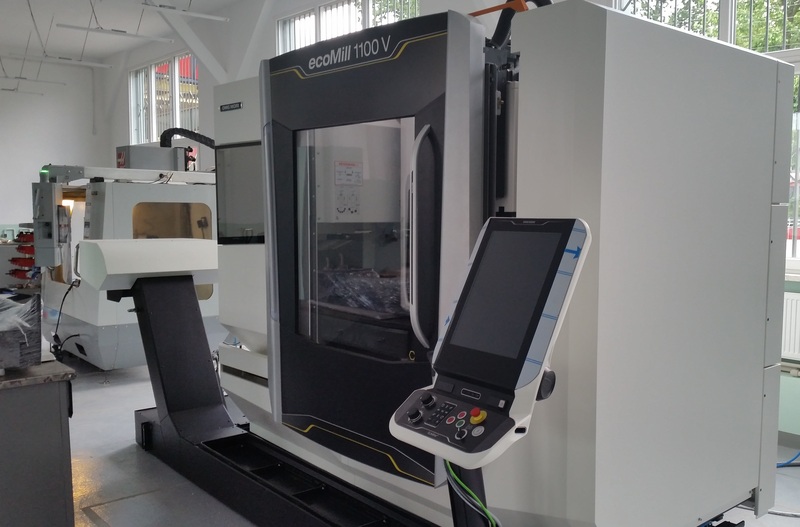 A brand new machine tool CNC DMG Mori ecoMill 1100V! 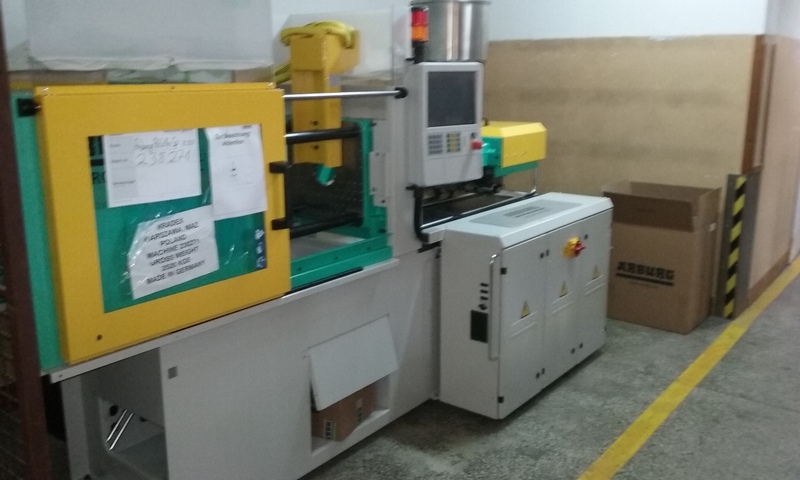 It"s a big step forward in quality of making molds and increasing productive capacity. Ladies and gentelman! 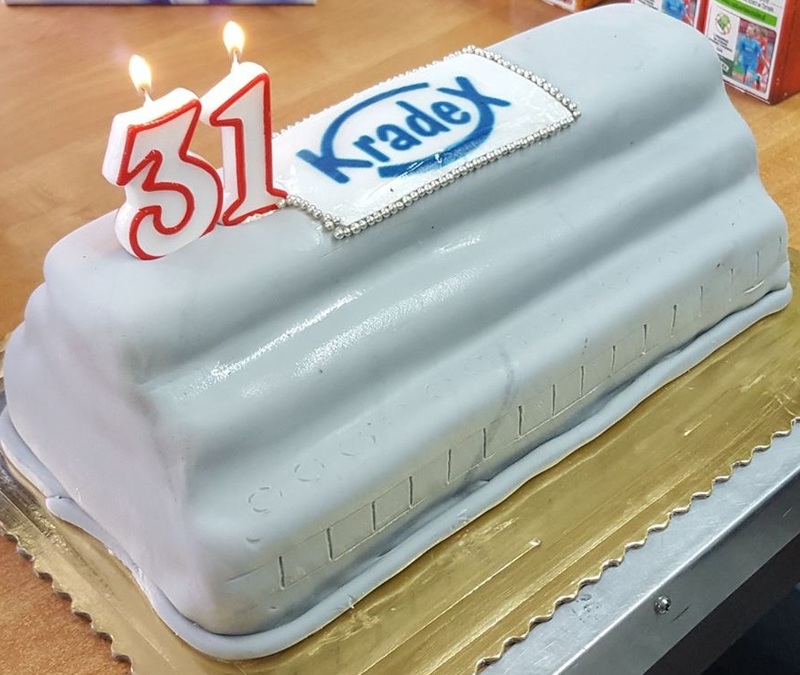 Today we are celebrating company Kradex 31st birthday. We would like to thank for cooperation to all our regular customer as well as new ones. :) Best wishes to you. 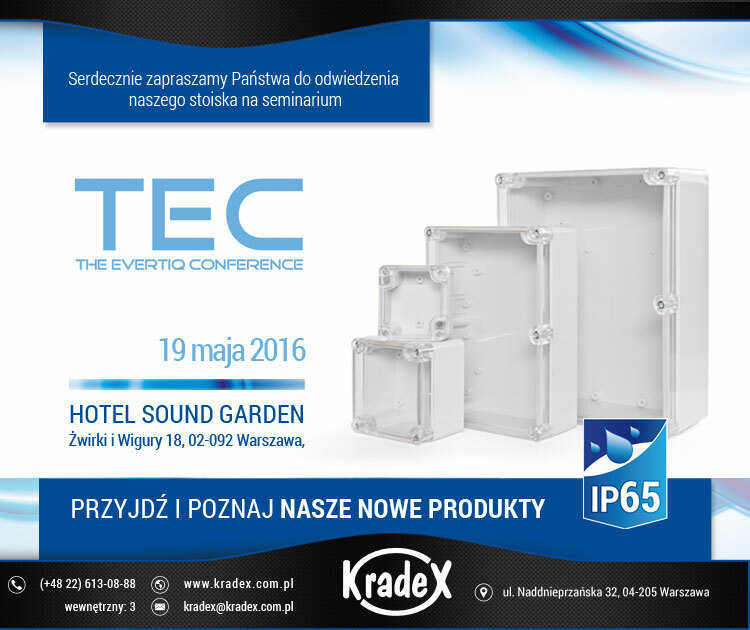 On 19.05.2016 the third edition of TEC Conference will take place. We would like to invite to everyone on our place. Dear Customers. Soon we introduce new hermetic housing with ABS. They will have clear lid and light gray down. From 1.03.2016 to 4.03.2016 The Automaticon Warsaw Expo will be taking place in Warsaw. We would like to invite You! On the roof of company at Naddnieprzańska street was installed photovoltaic power plant with a total capacity of 40 kWp, producing electricity from solar radiation. 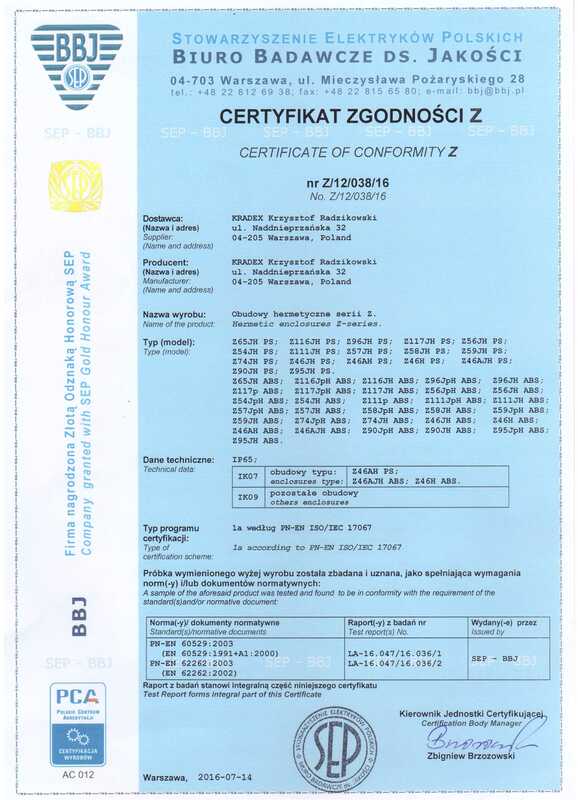 A photovoltaic installation contractor is RWE Poland. In 2016 we raise the prices of our products. This is partly due to price increases from our suppliers for such elements as plugs, sockets, material and screws. Some of the products will be more expensive by several PLN, up to 30% in retail. We hope you show understanding and accept the our new prices. We invite you to cooperate with our distributors (list on our website). For logistic reasons since January 2016, we are forced to introduce a processing fee of 20 PLN net for each order less than 80 PLN net. 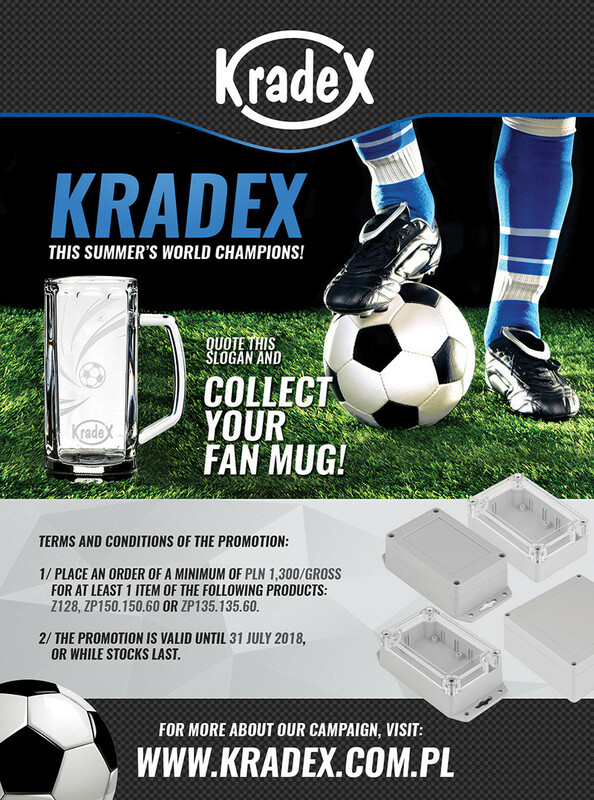 We encourage you to contact local distributors who offer a full range of Kradex products. 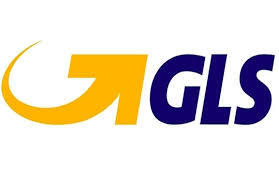 We have bought a modern system of printing labels from Etisoft - a worldwide leader in the production of film labels. 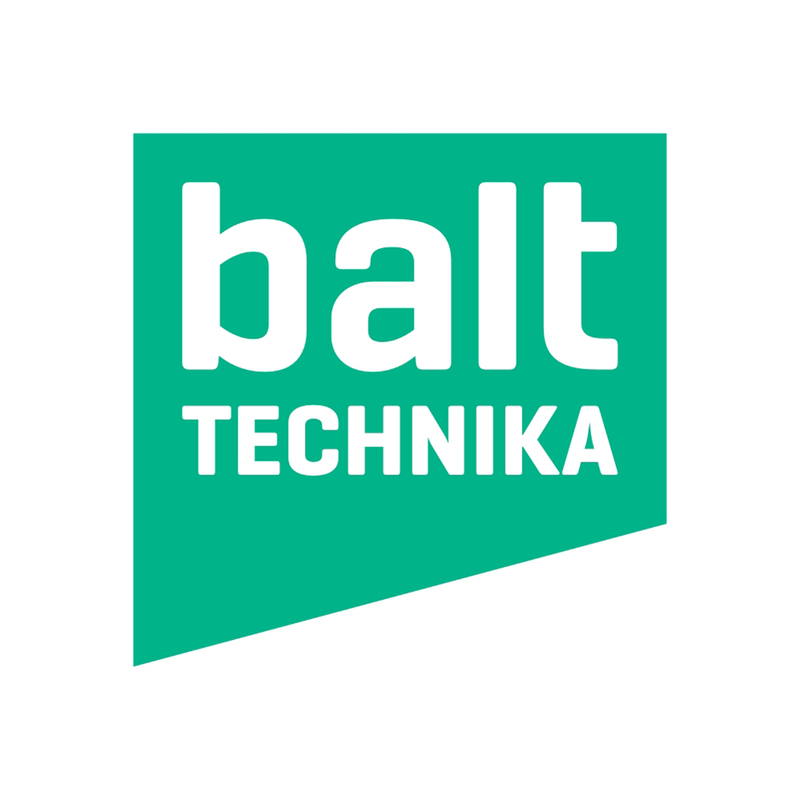 From now on all housings sold in retail for Small and Medium Consumers and the Distribution Network will be marked with our labels. 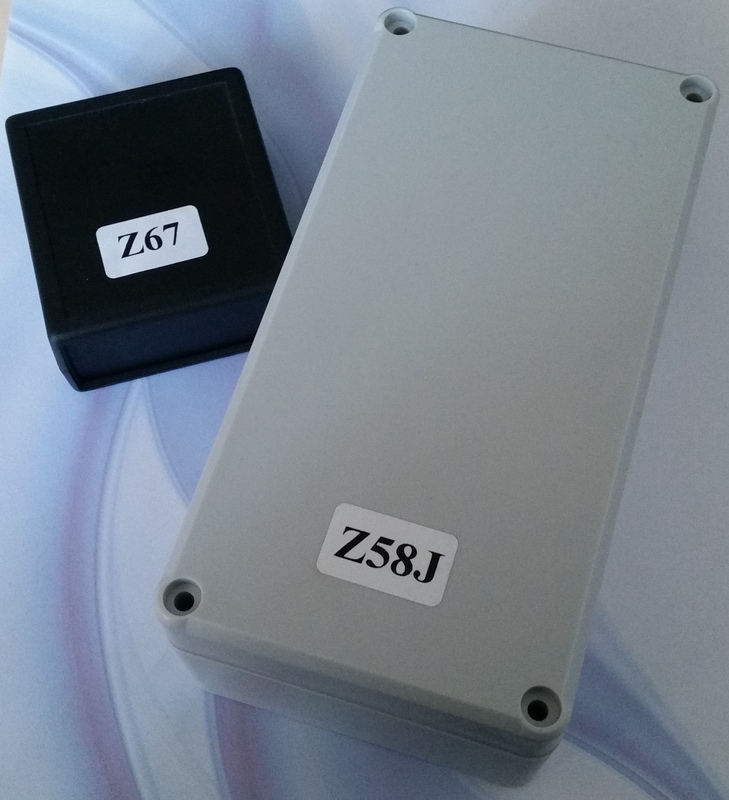 However, housings sent in bulk quantities will remain without labels. Dear customers! 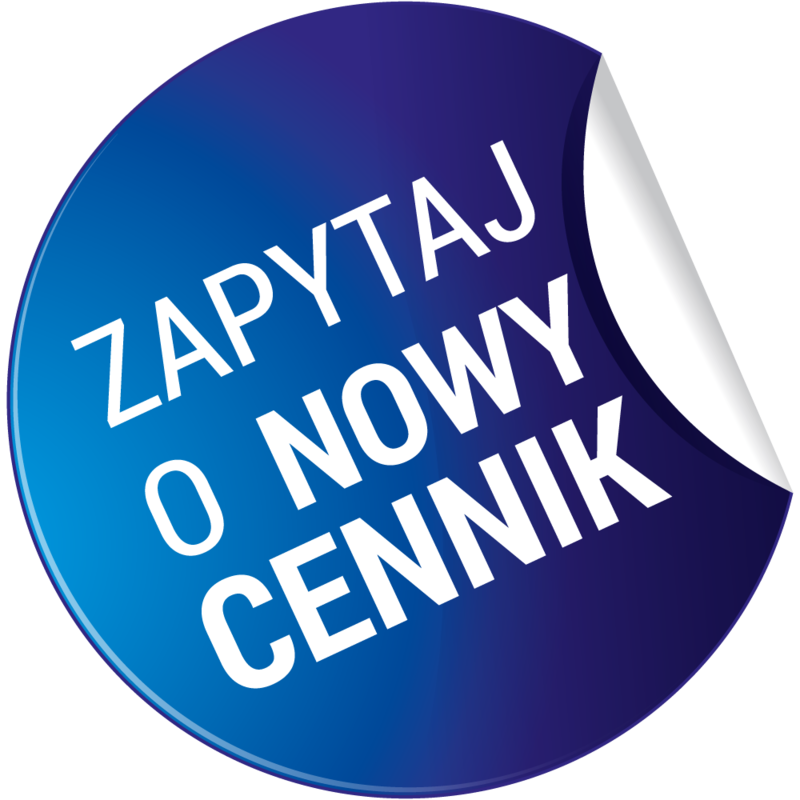 Meeting the recent changes and seeking new and better solutions we would like to inform You that since august we have reduced prices for transport on Polish territory. Currently the fares are 15,00 PLN net for standard and 18,00 PLN net for COD. On 21.05.2015 the second edition of TEC Conference took place. We would like to thank to everyone who visited us and encourage You to contact our company. 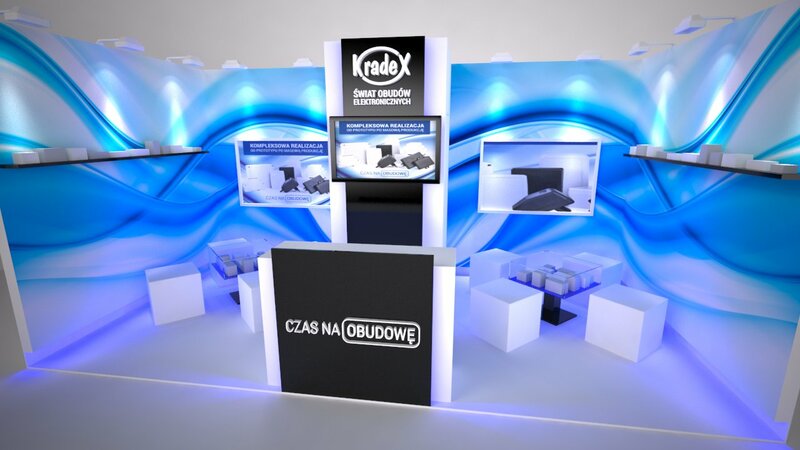 From 17.03.2015 to 20.03.2015 The Automaticon Warsaw Expo was taking place in Warsaw. We would like to sincerely thank everyone who visited our stand. 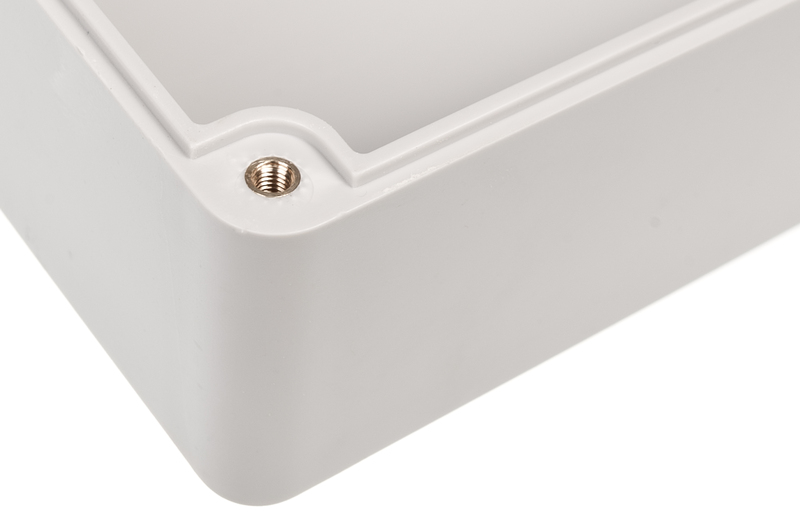 We would like to introduce to You new hermetic enclosures IP65. New 3D models and technical documentation. 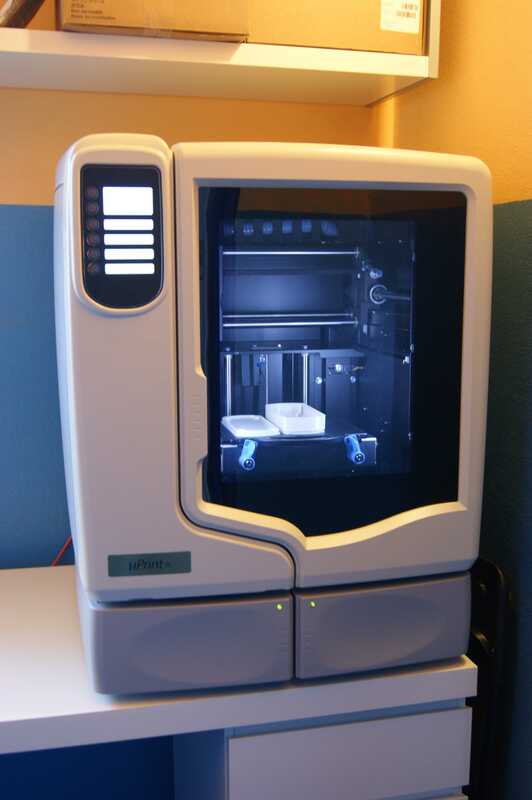 In response to the rapidly changing needs of our customers we set to expand our range of manufacturing enclosures with 3d printing. Already during the development stages of the casing customer can get a hand-printed prototype from 3d printer. This eliminates a lot of errors in the project and shortens the design, preparation and implementation of all of the product on the market. Hermetic enclosures in the new 'TM' series. 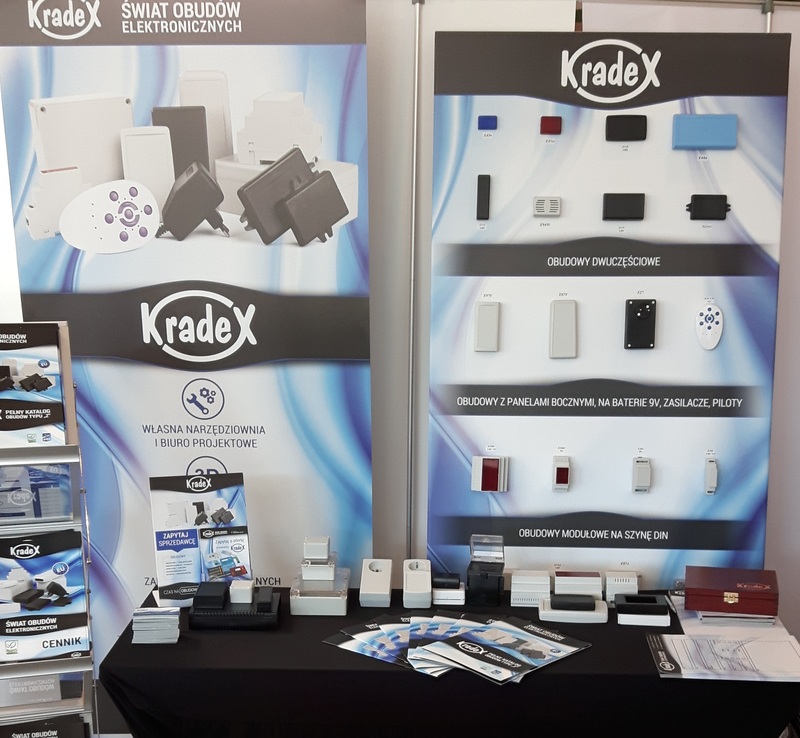 In response to the growing number of customer queries KRADEX company decided to introduce to the hermetic enclosures brass sleeve and metric screws. This solution is very useful on frequent twisting and untwisting of enclosures. 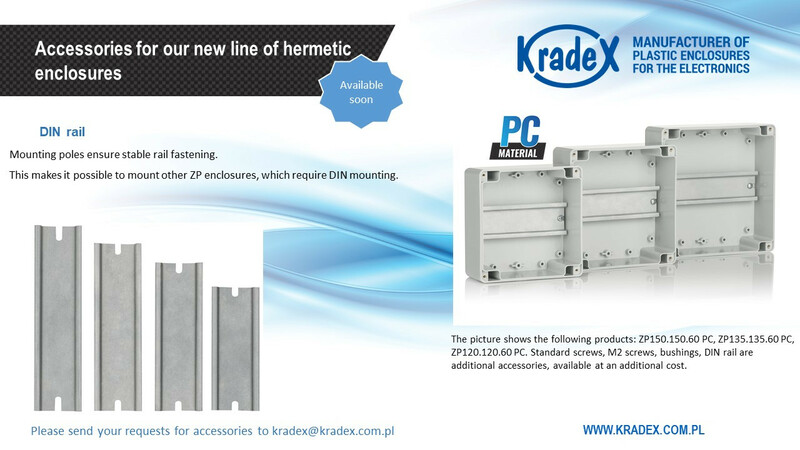 There is thus formed new "TM" series of hermetic enclosures. If you have questions, please contact our office.